Looking for the benefits meditation has to offer? Discover how the skill can help us manage stress in our ever-changing, fast-paced lives. It takes time to develop and master any skill, and meditation is no different. The ability to calm the mind on demand can be a phenomenal tool to have at your disposal. In the last article, we used a key analogy on how to view the mind and see it with a different perspective. Whether you are feeling burnt out like I was, overrun by emotions, feeling stressed or off center, meditation can be a great catalyst to help you face the challenges in life with greater clarity and ease. It gives you the ability to take a step back, gather your awareness and get back on track. This doesn’t take away the significance of the challenge. It’s not simply being ignorant to what we are facing, but it gives us that time to take a moment, refocus and move forward in a far more constructive way. With this new way of thinking, life begins to spin in a completely different manner. 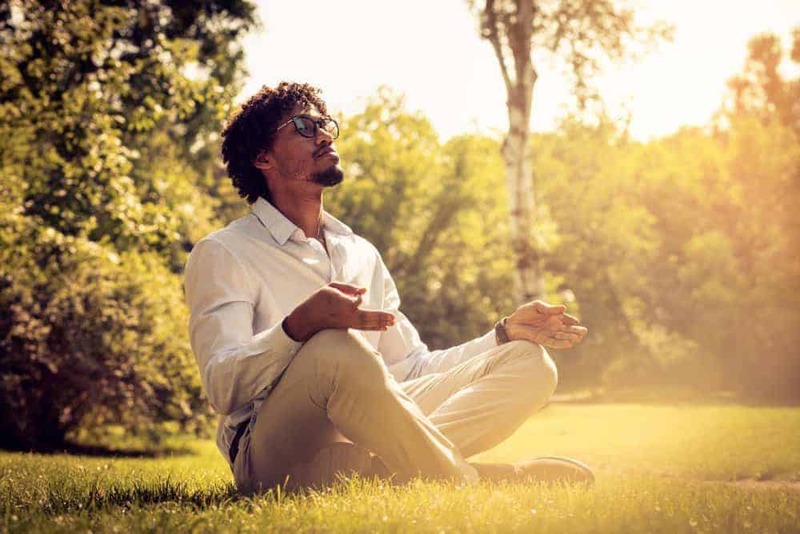 One of the great benefits meditation has to offer you is the ability to increase your focus and clarity in specific tasks you endure during your day. It allows you to be more present in the moment and not get too lost in thought. We’ve all been there – zoning out and thinking of something else, not completely digesting what was just said to us. If we can be more present with greater clarity, we can increase our attention and focus in any given task. Let’s face it: we are emotional beings, whether we like it or not. One of the greatest benefits meditation brings is the ability to manage and use your emotions constructively. We have all experienced situations where there is a divide in a team environment. One particular person might have a completely different viewpoint of exactly the same event. Whenever a challenge arises, the mind tends to want to label and commentate on what’s just happened, like a TV playing over and over in your head, and emotions can follow suit. We tend to cloud the situation with a storyline, and for many people, that story can cloud our judgment or interpretation. Sometimes we may be overcome with nerves, maybe just before an interview, a speech, meeting new people and so on. Sometimes in a business situation emotions like anger can take to the surface. The key point here is that one of the benefits meditation gives you is the option to choose if the emotion serves you or not. We can then begin to see the difference between what might happen and what is actually happening. Sometimes we are clouded by thoughts and emotions and struggle to see the solution. One of the many issues we face in today’s society is its fast pace. Having drive and ambition is a beautiful thing, but sometimes it can feel overwhelming when you have a family, work, a business, friends and so on. Trying to keep all the plates spinning can feel tough, but it can be managed and with time and training. So how would it feel to know you could develop a skill to calm your mind on demand? By taking ten minutes a day for yourself, you can refresh and take on the day with more clarity, commitment and ease. Meditation is simply health for the mind and the beautiful thing about it is you get to define it. Whether you would like to have a better sleeping pattern, manage stress more effectively, relate to others better or increase your happiness, it’s completely up to you! It’s all being proven – the scientific benefits meditation offers. As you can see, there are many scientific studies that have looked at the profound benefits meditation has to offer. If you take just ten minutes a day, over time your brain can begin to show positive changes. This is commonly known as neuroplasticity which is the brain’s ability to reorganize itself by forming new neural connections. Therefore if you have always felt you’re a worrier, stressed or anxious, don’t be so quick to judge yourself, as we now know that this isn’t fully the case. You can learn to manage difficult emotions over time and develop a healthier way of life. Here are three tips to get you started. Remember, it only takes ten minutes a day. Like Anthony Robbins famously said, if you don’t have ten minutes, you don’t have a life. Don’t expect the mind to stop. The point of mediation is not to stop your thoughts, but rather to clearly see the mind with clarity and non-judgment. Think of your thoughts as passing cars on the road or clouds in the sky. Remember, it’s a skill, so at first, you may be a little shocked by how many thoughts there are. But don’t worry –this is perfectly normal. The mind will, with time, begin to free up a little and the thoughts will lessen. Ahh, peace! We can’t force our mind to be quiet. Think about when you can’t sleep, so you say to yourself, “I can’t sleep,” and you start to try harder. What happens? Ironically, you struggle to sleep. So the idea is to have a nice amount of attention and focus but an equal balance of relaxation and rest. Once we have a healthy balance of expectation and effort, we can then move to the realization of stillness. This is the realization that happiness is already here, at this moment now. This will become clearer once you are into regular exercises. Rather than trying to create peace within, we simply realize it’s already here. This is one of the first steps toward internal mastery. I normally recommend you meditate first thing in the morning, but that’s only if that works for you. Everyone has different schedules, so choose a time when you know you’ll have ten minutes free. We now know the benefits meditation has to offer. Whether you want to become more resilient, have more clarity or increase your happiness, meditation provides you with a workable skill and training that can be applied with just ten minutes a day. It’s simply a skill that over time can help you achieve the peace of mind you have always been looking for!